Casey Golden been called a “pianist of sheer class” with a “soaring imagination”, a musician who is “subtly subverting jazz from within”. Now with his latest studio recording ‘Atlas’ receiving high critical acclaim from London to New York, we thought we’d do a little digging into this exciting new music and its creator. I come from quite a musical family. My grandfather, uncles and brother are all professional musicians and my parents are huge music lovers and supporters of music in general, so there was always music around when I was a kid. Still is. I started taking piano lessons when I was five and also played the trumpet as a kid, so playing music has always been part of my life, although it didn’t become that important to me until I was in my late teens and starting to work out what I wanted to do. It’s instrumental music, with a focus on improvisation for a four-piece band of piano, guitar, bass and drums. When I wrote the music I had a few specific things in mind I was going for. In the past, my own projects have generally been for a trio of piano, bass and drums. This record has the addition of guitar, and this extra instrument allows for a far wider range of textures that we can create as a band than in a trio context. So I tried to stay conscious of this as well as choosing the unexpected route whenever possible in regards to the roles that each instrument might be expected to have in this line-up. When I first moved to London, it was a really exciting time. I was going to tons of gigs and jam sessions and discovering, meeting and playing with lots of great musicians who were completely new to me. After six months or so, when I started to feel I had a bit of an idea of the scene, I started to think about who’d be good for this project. It was a good exercise for me to try to articulate what I was looking for from each band member, especially in a new city where everyone was new to me. My reasons for going with Alex Munk (guitar), Henrik Jensen (bass) and Will Glaser (drums) in the end were more or less intangible and/or based off seemingly small aspects of their playing that resonated with me. I met the three guys in the band all in different contexts: one a gig together, one at a jam and the other when I cold called after hearing him on an album. We all have common ground but all four of us are certainly into different stuff, so it was great hearing the different interpretations that everyone brought to it. One reviewer called your music “chamber jazz”. What’s meant by that term and do you agree with this term to describe your music? I don’t think it means anything too specific, but as far as genre-type terms go, I think it’s pretty good because it’s evocative. It could refer to any of the elements that jazz-based music has in common with chamber music. Maybe in this case it’s referring to the density of writing or the interaction within the ensemble but it’s not for me to say. To answer the second part of your question, no, I wouldn’t use this term to describe my music. Of course I’m happy for people to call it whatever makes sense to them and I understand and appreciate the difficulties of trying to describe music with words, but generally speaking, I prefer to think of this record and all the music I play as “music” rather than “jazz” or any other genre. I think many musicians associated with jazz aren’t 100% onboard with the term. It’s used out of necessity and/or laziness to describe the generally hard-to-describe world of music that this record fits into. I love and am hugely indebted to the African-American jazz tradition, but with this album, we’re also engaging with many other traditions of music, so why reduce it to any single one of them? I’m a big history fan and one night I came across a few articles about this Soviet Union project to secretly map the world during the Cold War. There’s a great book written about it and one of the authors, John Davies, lives in London. So I got in touch with him and went out to his house to check out some of these maps. He graciously gave me permission to use a portion of one of them for the cover. 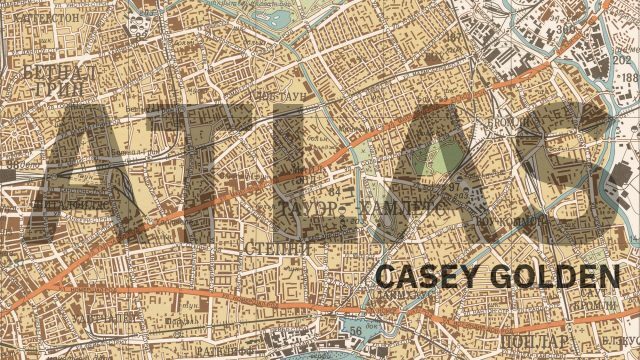 It’s part of the East London map, which is where I lived when writing all this music and making the record, so it feels very appropriate as well as being an amazing image in its own right.